I got your sewer monster right here. Oh blogosphere, what have you dragged in now? A sewer monster that might be aliens or worms or some unmentionable part of the male anatomy, that's what you've brought in today. The 'monster' dubbed the Malphrus Sewer monster, and a few less kind, but more imaginative things, looks way too silly to be anything other than early marketing for what can only be a horror comedy. In fact, speculation on YouTube and in the UK Daily Mail that the monster might in fact be worms in the sewer suggests the most promising candidate for that horror comedy. The Mail cites "experts" who "claim they are clumps of annelid worms, which normally live in soil and sediment at the bottom and edges of polluted streams." Yes, that's right. 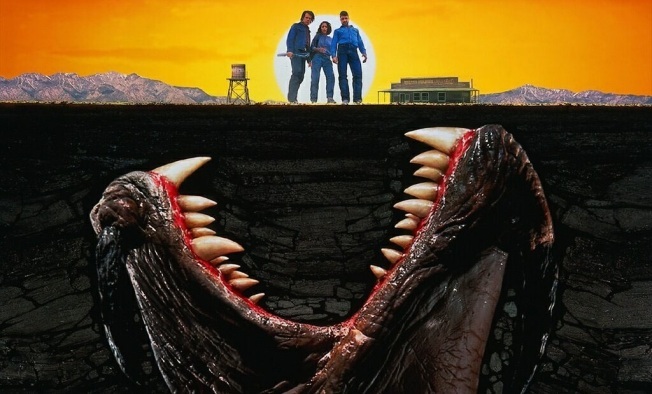 It is starting to look like the monster might be an advance for the next installment in the "Tremors" franchise, which starred Kevin Bacon and Alex P. Keaton's dad in the first installment. A call to the Malphrus Construction company shed little light on the origins of the monster, but they assuredly, did not take credit for the video as other sources have claimed. Call there and ask about a sewer monster and the receptionist connects you, quite speedily, to a husky voiced woman named Ann. Are you familiar with the video of the sewer monster? Is Malphrus responsible for the video?